Hocus immediately grabs players' attention due to its extremely minimalist design using impossible geometry of the M.C. Escher variety. 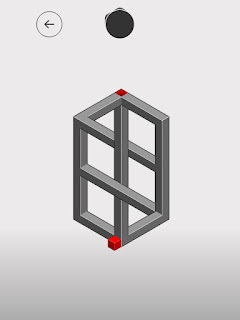 It's presented in primarily grays creating a stark contrast with the only two colored items in the game, which are the red cube you maneuver and red goal you must reach, creating an easy visual cue for where to begin and where to end. That is the whole game, you start the game, solve 50 (currently) puzzles, and then you are done. The game is a great in attempting to navigate the illusionary pathways forcing players to adapt to perceptually connect planes that could never do so in physical 3 dimensional reality. 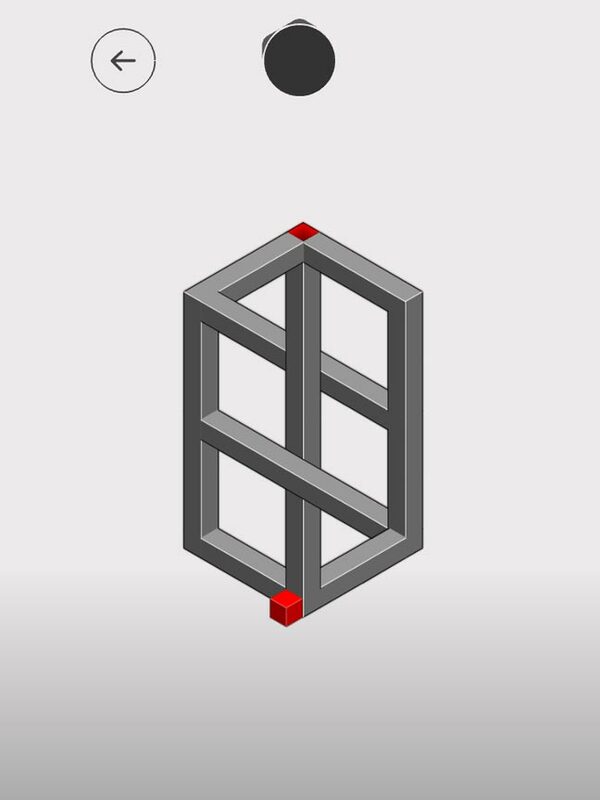 The game gives players a wonderful perspective-warping path to finding solutions equivalent to traverse a Penrose Triangle. Unlike games such as Monument Valley or Echochrome, the puzzles in Hocus are static. You can't rotate or alter them to find another solution. Music in Hocus is a sublime set of strange chimes that really give off an ethereal ambiance to the game's paradoxical architecture. The gradually increasing difficulty offers a mediocre challenge to go with the soothing sounds and aesthetically pleasing visuals making the game feel almost like an achievement in zen gaming. The game truly focuses on combining the simple mechanics, spacial reasoning, and relaxing sounds in a way that is so well done that it is more than enough to make Hocus a great purchase, and subsequently it offers a brief respite from the more action oriented titles that fill the app stores nowadays with a small dose of tranquility through its gameplay.